SEO based content writing style has taken the stride forth with the introduction of algorithms of Google Panda. But if you have to maintain decent number of articles on various topics then the daily streamline of topics can get congested. So to make the going easy, some helpful tools are handy to create those awesome contents which every blogger desire. Let me take you through those ten mindblowing tools which can generate killer content. This is a very popular keyword search tool for both paid and organic search medium. Though this tool mostly focuses on topics at a macro level, minute niches can be pulled out of this tool. This keyword tool comes free and the search market thrives strongly on this tool as it also provides unique content ideas. What will you expect from a research tool first? Ofcourse great content ideas. Followerwonk does give you unique and valuable content ideas. 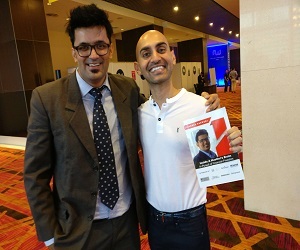 It works as a great influencer within your online social surroundings. The user interface is pretty easy to use. If you want updated real time searches and prompt social analyser, Topsy is a sure try out. It has both free and paid versions. So it helps you with the trendiest topics and shareable ideas. This tool can easily take the cake from other content generation tools. You can put your questions here and get amazing answers as ideas for your content creation. Users can also share invaluable ideas via this tool. So it also works as a good social platform. If you know about Google Suggest and related searches then you should also try out Soovle. It will offer you larger insight on potential keyword chain. If you compare it with Google Suggest, then Soovle is more advantageous as it will bounce back with meaningful and more significant information and datas for your analysis. Google analytics provided potential keyword chain to understand phrases which hits your website. With the Google Webmaster Tool, you can quickly land upon phrases which can or push your site into the result pages of search engines. You get answers to your most curious or complex queries to get killer content ideas from Webmaster Tool. Apart from Google, social networking sites like Facebook can deepen your knowledge in killer content ideas. How? Take the insight from your fan page. Your fan page can tell you what kind of ideas or content work more. Do not forget to note the day and timing of your popular posts, so as to extend your reach to the audience further. Though LinkedIn groups are known more for lead generation, you can follow trends of industry professionals. It is a good site to know what kind of contents professionals aspire for or what are their online favorites, when it comes to profession or work related stuffs. This helps you to spread the wings of your killer ideas among the young professionals too. This tool essentially helps you to understand and source great ideas from the keywords provided by the client. This service tool comes with a seven day free trial, so give it a shot. Wordtracker’s opens the door to thousands of mindblowing ideas to create one after the other killer contents. So this directly results into higher traffic in your site, as you can publish the most wanted posts. This is another tool which serves the purpose of brainstorming unique and valuable themes related to your search items. This is a free service tool. You can use this to get more than thousands of real time keyword ideas. Obviously these are great resource to keep your upcoming blog/website posts, overflowing with ideas. So there you go. 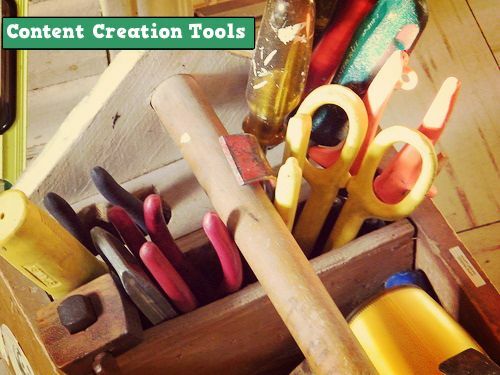 I have summarized ten of the best killer content creation tools. Hope now your daily woes of fresh content ideas can take a backseat and you get set go with the best of killer contents regularly for your site. If you have any more tools to recommend, please do share in the comments below ! Dont forget to share this awesome article in social media. I will be pleased if you share this now ! Join BloggersIdeas on Facebook, Google+ & Twitter . Hi, thanks for a helpful list of tools. I wasn’t aware of Soolve. If you haven’t tried it, you might also look at BuzzSumo to find the most shared content in any topic area or for any domain, and who is sharing the content. Hi steve, I will surely consider buzzsumo. I really liked it.